Sincere Motoring Private Limited is formed by a team of experienced and passionate sales personnels and purchasers whom have been supplying used cars to major car dealers and car rental companies in the market since 2011. In 2014, Sincere Motoring Pte Ltd is officially established with an ultimate goal of providing service-oriented and quality pre-owned cars experience to the consumers. 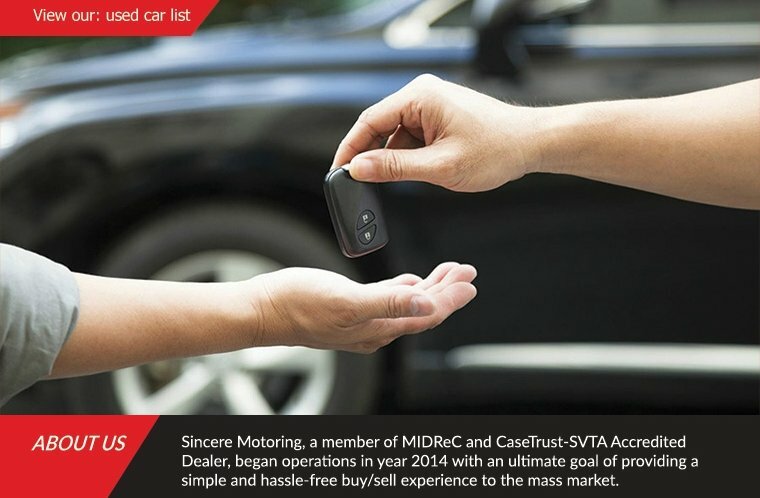 Being a member of Singapore Vehicle Traders Association, they are now humbled to have delivered more than 2000 pre-owned cars transactions.